This autumn, Shanghai, a Chinese city, once again hosted "Money Fair 2015" exhibition, one of the largest financial forums in Asia. The scale of the event can be described with two conspicuous facts: over three days, it was attended by more than 160,000 visitors, and the stands for participating companies had been sold out a year before the exhibition officially took place. The forum drew a big audience consisting of representatives of leading local and international financial companies. "RoboForex has participated in Money Fair since 2013. Even at that time, it was obvious that this event is the key one for any company that wants to expand in Asian markets. Judging by this year’s results, it’s safe to say that the level of the event increases year after year: participating companies are becoming more serious and impressive, and the percentage of professional traders, managers, and investors is increasing. Now it’s not just a regional exhibition or conference, but a huge international forum. And it happened before our very eyes". 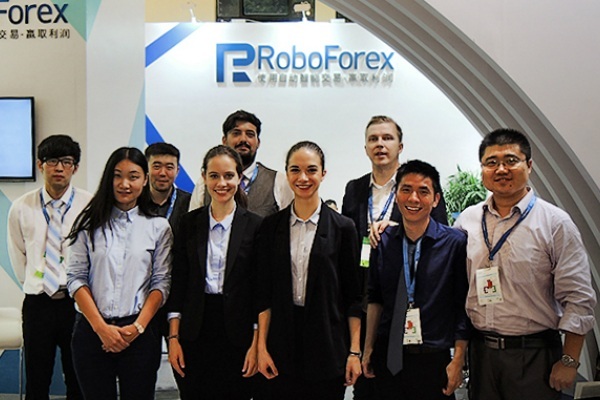 During the exhibition, RoboForex presented a review of the Company’s Affiliate programs and discussed development prospects of multi-level IB networks in China. In addition to that, RoboForex told visitors about new bonus offers and CopyFX investment system. "Many of the products presented by financial companies this year are not novelties for our Company. The reason is that we’re always trying to be "on the top of the wave" and introduce all cutting-edge, advanced technologies. We’re highly appreciated because we always provide each client with a full range of services, which meet his requirements and interests. This is how we stand out from the rest of the companies, who count on one particular product or category of clients. 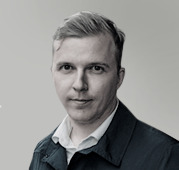 For us, stability and overall development in order to provide the best possible conditions are the policy, which the Company has been following since the moment it was founded". Over just three days, RoboForex stand was attended by thousands of people. Many clients came to the forum on purpose to meet our representatives face to face: to discuss the questions they have, learn about our development plans, make suggestions. 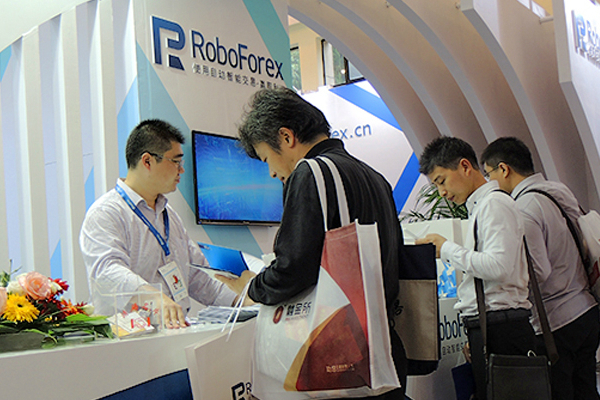 We’d like to thank all traders, who visited and paid attention to RoboForex stand during "Money Fair 2015". The information we learned during the event will surely help us to improve our programs and services in order to satisfy requirements and interests of traders from Asian region.